A nice worksheet to revise place prepositions and vbry. referring to objects in the bedroom. Hope you like it !! The present downloadable teaching material is a great resource for high school students at Elementary (A1) level. 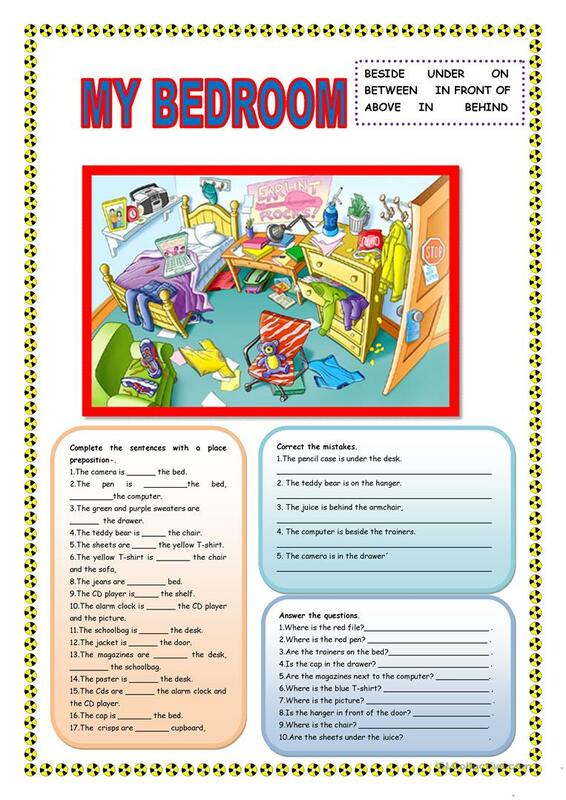 It is aimed at teaching Prepositions in English, and can be used for working on your learners' Writing skills.